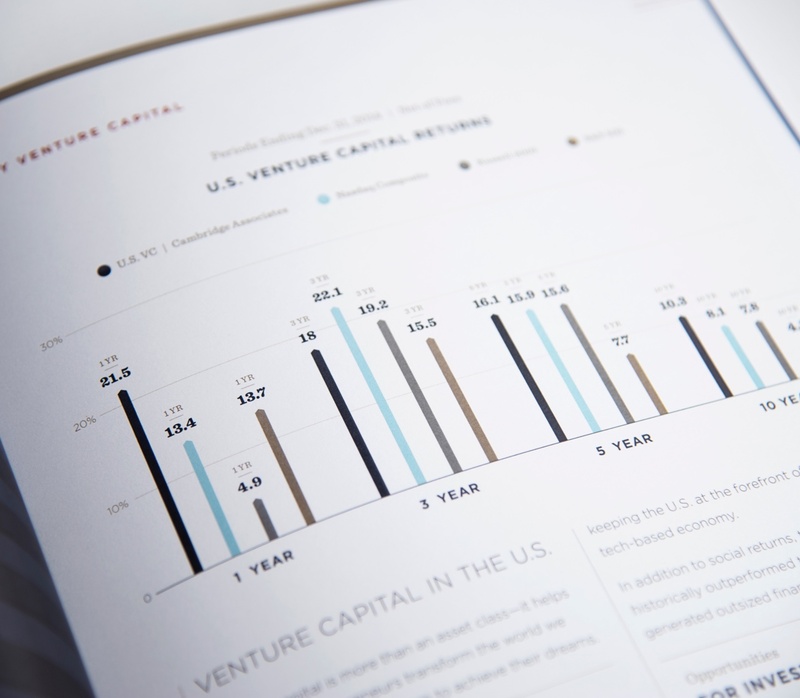 As an advocate for Ohio’s startup scene, VentureOhio secures capital by connecting with and educating potential investors across the US. 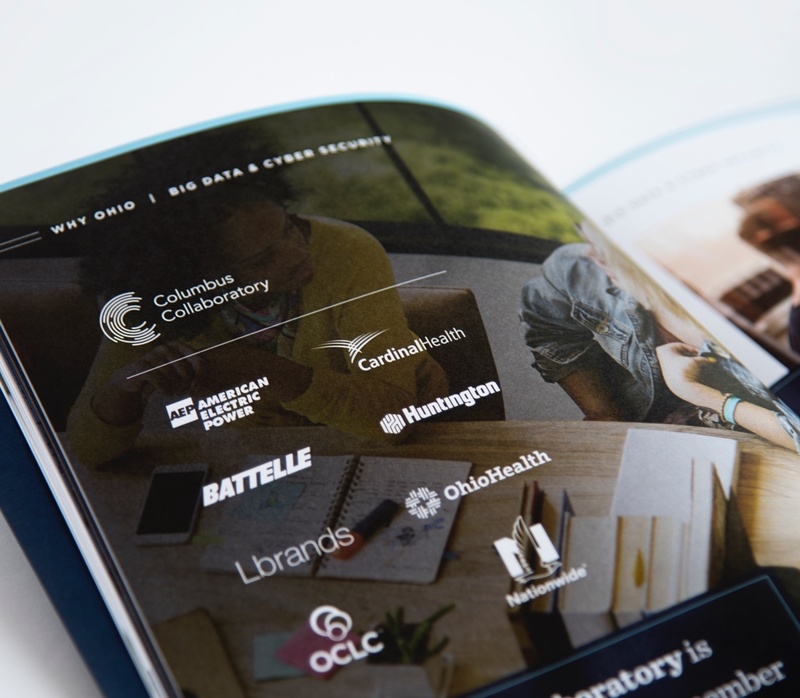 Each year, VentureOhio recounts the state of startups in a comprehensive report to entice new and out-of-state investors. The dense data needed to be scannable, but also have a storyline for digging into the details. 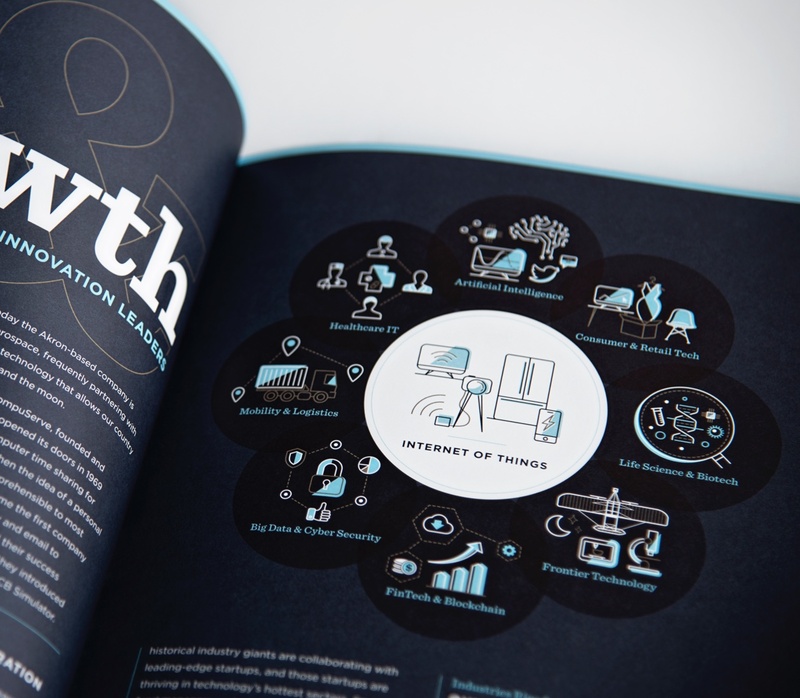 We were asked to design the new look and feel of the most recent report. 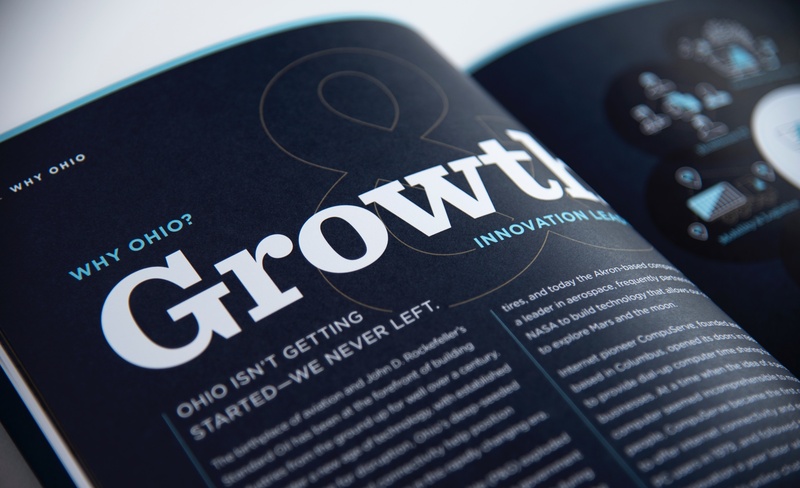 The bold, elegant design elements challenge common perceptions of Ohio. 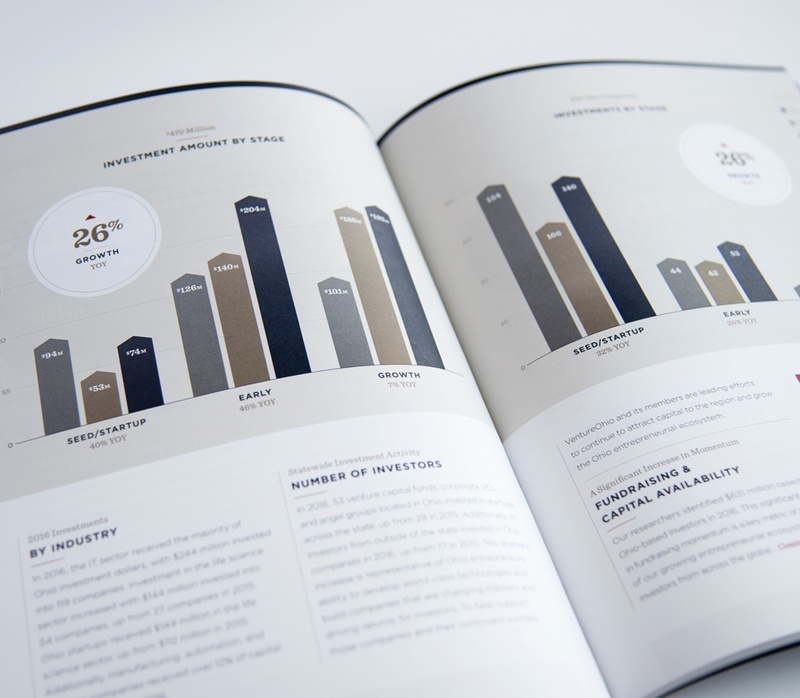 Metallic-ink, distinct paper stock, captivating photography, and custom data visualizations engage readers throughout the 101-page report. 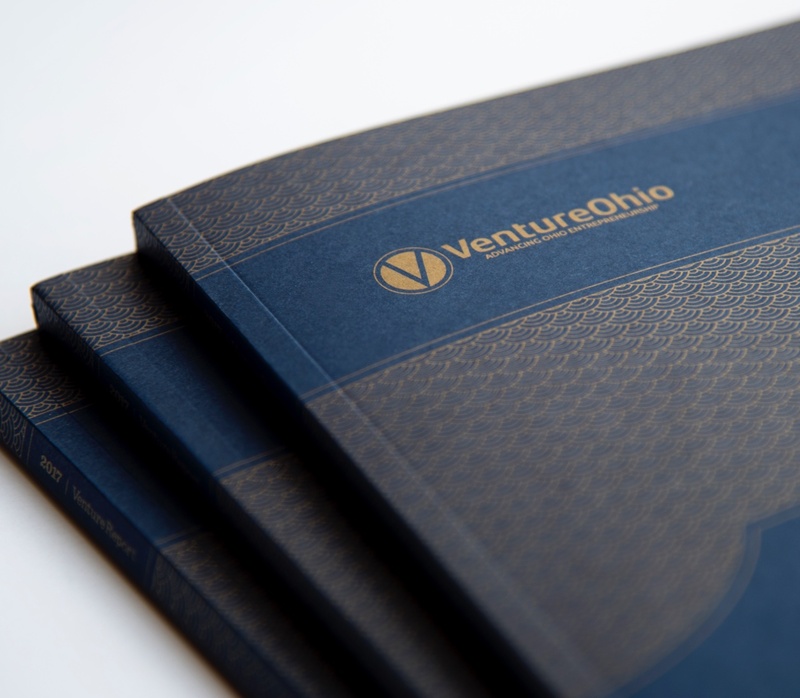 VentureOhio wanted to increase the number of report downloads in the first month by 20%. It only took 24 hours. We are honored to work with the best team in the Midwest! Check out the report and see for yourself how amazing ZoCo is! 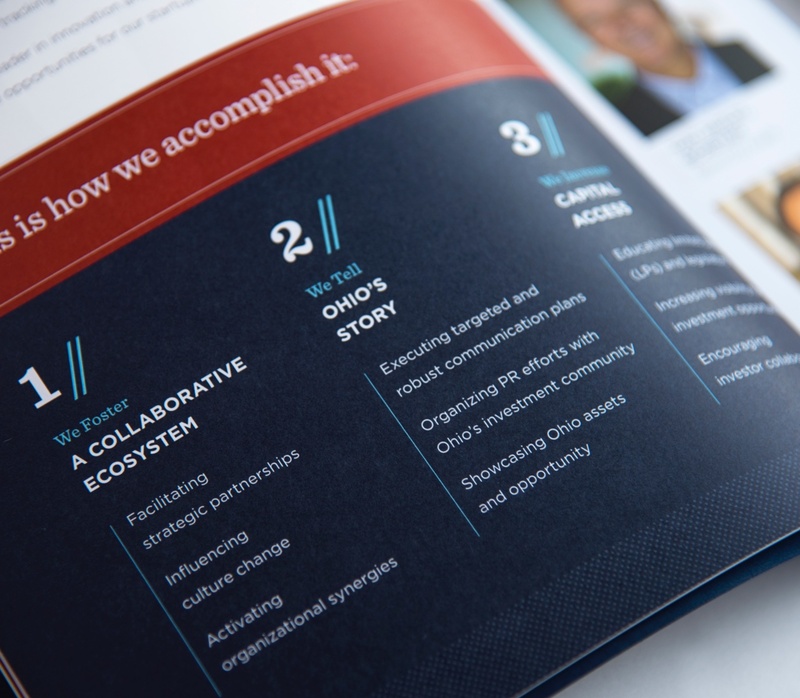 This elegant, informative report did Ohio’s startups proud.